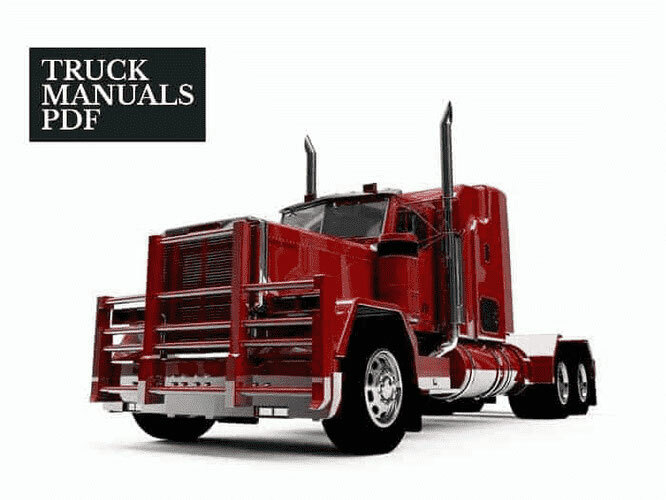 Some Avia Truck Service Manuals PDF above the page. AVIA was founded in 1919. Its founders were engineers Pavel Beneš and Miroslav Hain. In the workshop of the old sugar factory in Prague's Vysočany they started to repair aircraft and a year later designed the first double plane AVIA BH 1. In 1923, the company moved into new AVIA, good equipped workshops in the area of Holešovice. Here we were born the following models of famous aircraft. Especially monoplanes BH-7, BH-9 and BH-11, which won the Cup for Abijah COPPA d'ITALIA. Model BH-17, the era biplane fighter AVIA. Then in 1925, followed by fighters BH-21, and in 1929 the curly versions of BH-22 and BH-33. Last said the fighter is considered one of the best fighters of the time in the world, and glorified him with his acrobatic skill staff officers Malkovsky and Mares. In 1926 he began to produce transport aircraft AVIA BH-25 for double crew and five passengers. In 1928-29 AVIA ŠKODA concern turned into a year and engineers Benes and Hein moved in airplane separation ČKD Prague for the positions of leading designers. Production aircraft continued after the relocation of the company to new modern premises in Letnany area in late 1931. Since that time, Avia became the largest aircraft manufacturer in the country. The lead designer was appointed engineer Nowotny. His first model was the B-34 fighter, which in 1933 was dorobotan to the famous B-534, which our army was equipped. The glory Avii brought and won athletic performance aircraft for high-flying B-122 (1934), or B-422, which made famous pilots Novak, Hubáček, wide, Ambruzh. The last successful pre-war model was in Avii bomber SB-2 - B71, manufactured by the Soviet license. In 1989, the group broke up into independent companies. In 1993 began the production of AVIA vehicles with engines with a turbocharger with a sign A21T and A31T. These machines were simultaneously increased engine power by 65 kW, which fulfills the norm EURO I. Subsequently, the engine has been designed with an increased capacity of 76 kW (or 85 kW) with intercooling, which performs the norm EURO II. whole propeller-engine group, the introduction of servo, modified braking system, improved cab interior and technical parameters were increased car chassis have been modified, strengthened. In 1992, AVIA was transformed into a joint stock company, and so there was a new company Avia - Hamilton Standard for the manufacture of aircraft propellers with Avia shares shares. A year later, the production of screws was transferred from the factory in Letňany in a new complex near the Old Boleslav. This finally ended in aircraft construction in Letnany. AVIA The company was privatized by Czech entities by 66 percent. For further development of the company needed to find a foreign investor. Negotiations took place with several interested persons. First of all it was a French car plant the RENAULT which were long-term good relations, the next was the German company MERCEDES-BENZ. But the winner of a public competition in 1995, has become the South Korean company DAEWOO which, together with the Austrian company STEYR has created a consortium that has acquired 50.2 per cent stake in the Avia, and thus became the principal owner of the company. A year later, the company changed its trade name to DAEWOO AVIA, a.o .. In the same year the company became the exclusive importer and distributor of DAEWOO vehicles in the Czech Republic. In 1997 he was made the last major upgrade AVIA car model A. On the market have been exhibited models AVIA A 60/65/75 / 80.